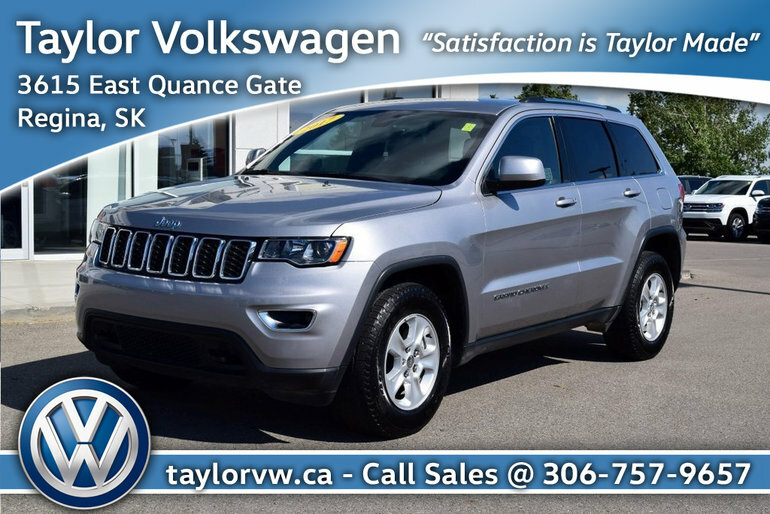 This Jeep Grand Cherokee Laredo is in showroom condition with all the safety and luxury options you need !! Features include Navigation, Blue Tooth, Back Camera, Remote Starter, App Connect, Heated Seats, Heated Steering Wheel, Push Button Start plus to much more to list. Please contact us for a test drive and bring down your vehicle for a free appraisal today !! Interested by the 2017 Jeep Grand Cherokee 4x4 Laredo Pure Luxury with Rugged 4 Wheel Drive Capability ?